You might have heard of this booming social media platform but might be wondering how to use Instagram for your small business. Let us help you with that. 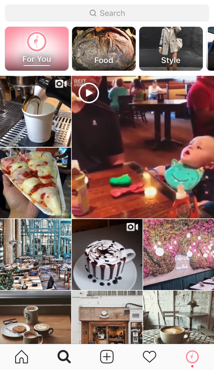 Instagram is a social media channel where people can share pictures or videos with their network of followers. 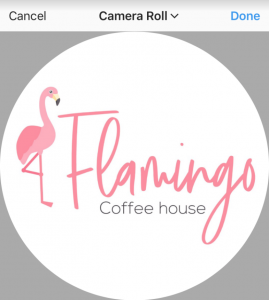 You’re also able to edit your pictures with different filters and settings, and you can share what’s going on in your business through different formats like the Instagram Stories feature or a normal post. But, is it really that important? Yes! 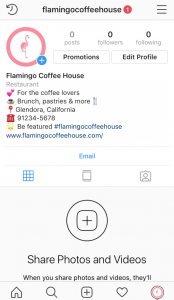 According to the newest Instagram statistics, in 2018 there are 800 million active users monthly and 8 million Instagram Business profiles. 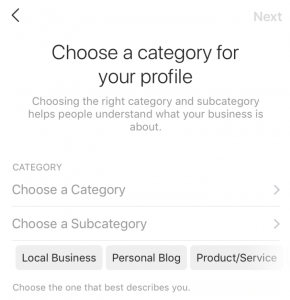 The best part is that around 80% of these users follow at least one business profile, 60% users hear about a product or service through Instagram, and at least 30% of Instagram users have purchased a product they first found on the app. 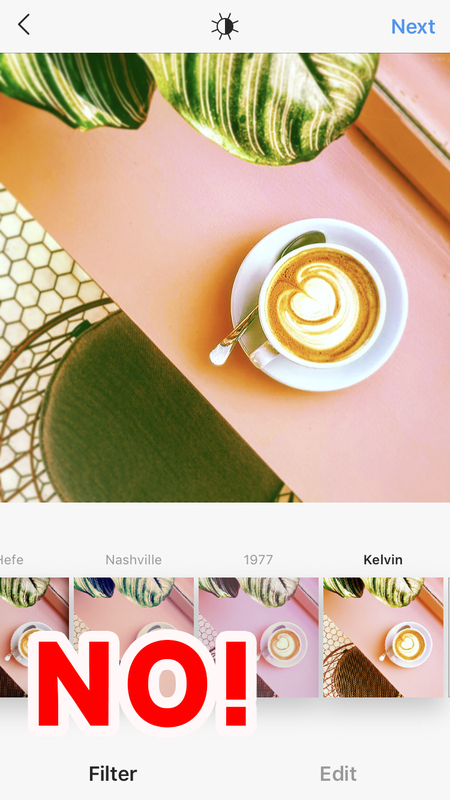 So, if you’re not using Instagram yet, what are you waiting for? Your next new clients might be there, ready to discover what your small business has to offer. 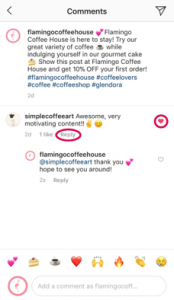 So, let’s get started on how to use Instagram for your small business. You can find the app for your smartphone in Google Play Store, App Store or Microsoft Store. The app will be guiding you through the process. You can register your account with your business email, so you can get all the notifications there. If your logo has a lot of small elements or letters, it might be better to leave only the main element. The picture will be shown in a very small format, so people might not be able to recognize it if it has a lot of things on it. Once you’re on the main page of your profile, you’ll find the “Edit Profile” button. 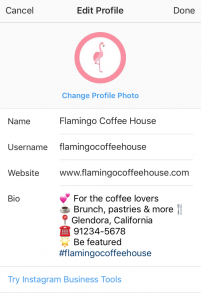 You have other spaces where you can write the name of your business, the username of your profile (which should not have any spaces), and your website. Pro tip: link to your product page or menu page if you have a restaurant. That way people can go there directly to see what you offer in detail. 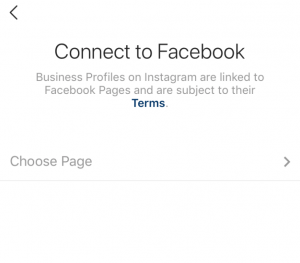 *Bonus: Convert your normal Instagram account to a business profile. Why? 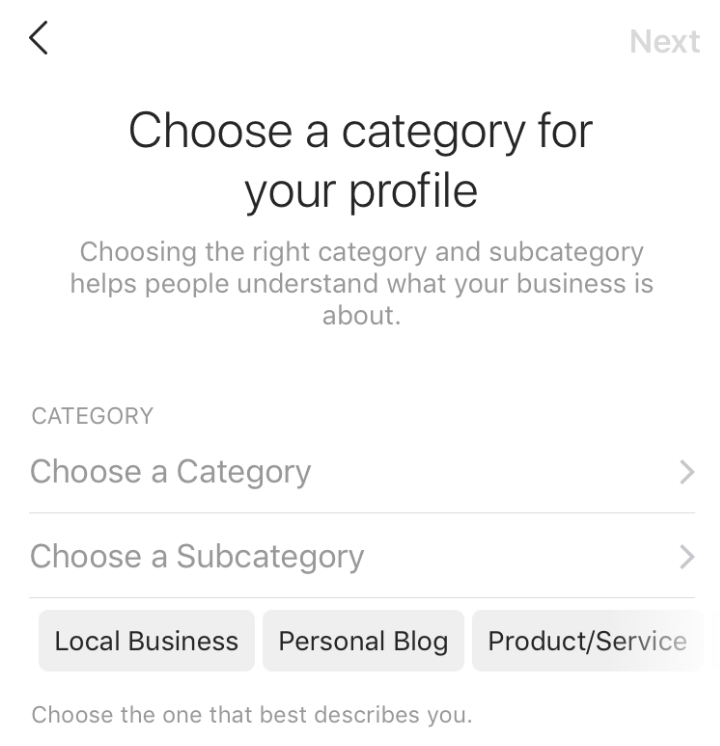 By converting your account to a business profile you will be able to set a category for your profile, which will make it easier for people to find you, and you will be able to connect it directly to your Facebook Business profile if you have one. 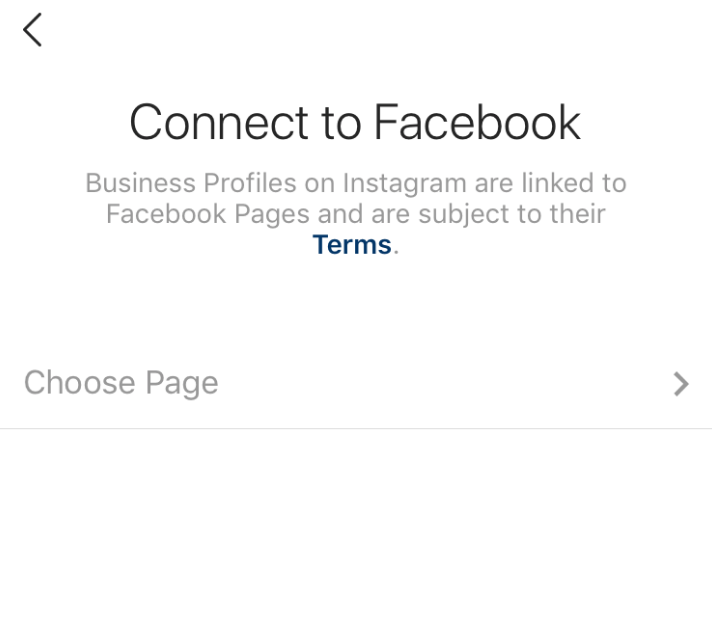 At the end of the “Edit Profile” section, you’ll see in blue the text “Try Instagram Business Tools”. When you click it, follow the instructions to set everything up, and you’re good to go. 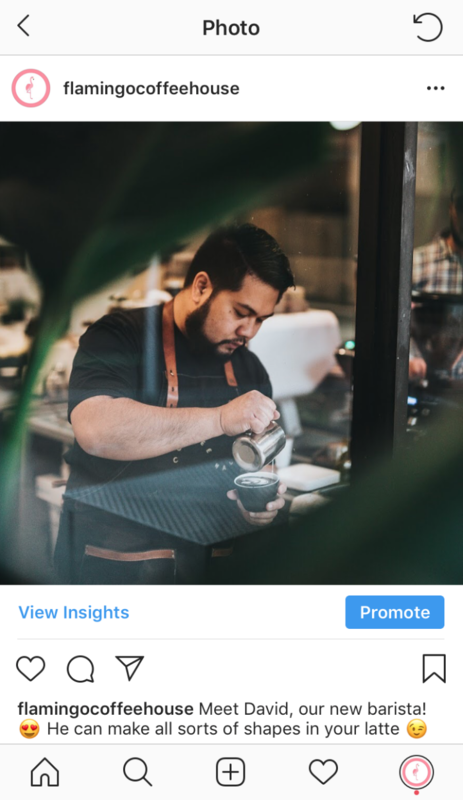 Another perk of converting your profile to a business account is that you’ll be able to see the statistics of your users and their posts and act based on them. But we’ll show you how to use Instagram feature later on. Now, let’s go to the cool part. Click directly on the + sign that appears in your profile to add your first picture or video. 1- Uploading a picture from your phone. 2- Taking a picture on the spot and uploading it. 3- Taking a video on the spot and uploading it. 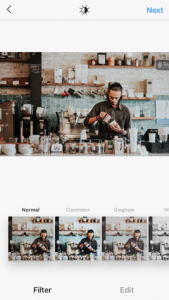 Once you have the image you want to use, you have to click “Next”, and Instagram will take you to other settings where you can choose a variety of filters or modify other details of your picture. After arranging the settings of your picture or video, you can go ahead and write a caption for it, and even use emojis to make it more fun! You can also add your location and share directly on your Facebook page. 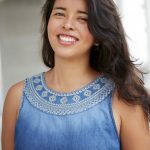 Pro tip: Make an introductory post about your business. You can give more details about it in this first post and maybe even make a short promotion to start getting people’s attention. 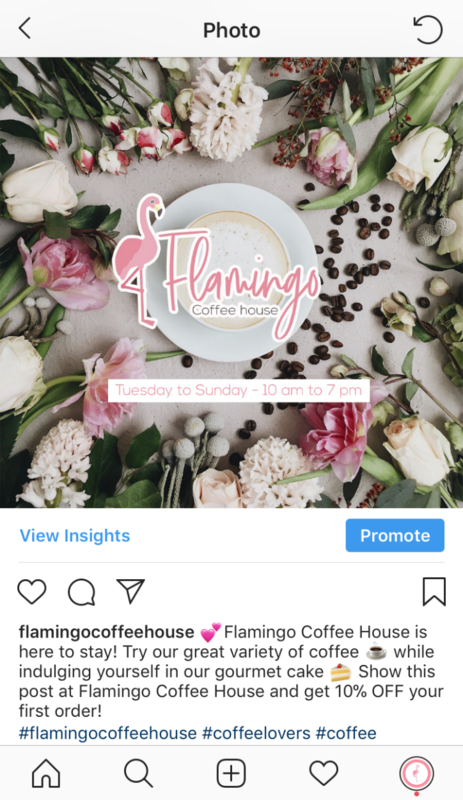 It’s a good idea to have some content in your profile before you get followers, so they can have a better idea of what your business is about. So, you created your profile, you edited your information and made your first post. 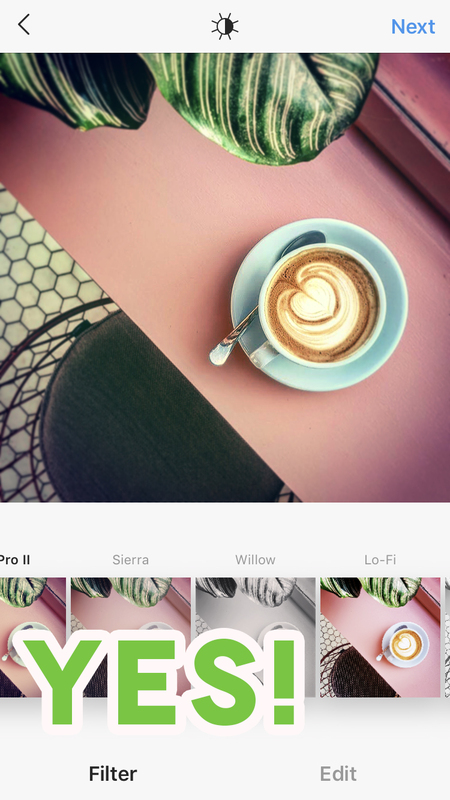 Now, you can follow these beginner tips on how to use Instagram for your business. 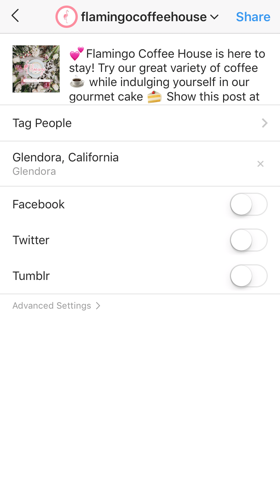 You can start finding people with the “Search and Explore” option on the app. Just click that little magnifying glass icon at the bottom of the screen and you’ll start seeing a lot of content of profiles that could be related to your industry or close to your business location. Use the search bar to find users, hashtags, or content from a location in particular. This will help you get closer to those accounts or people interested in your niche. 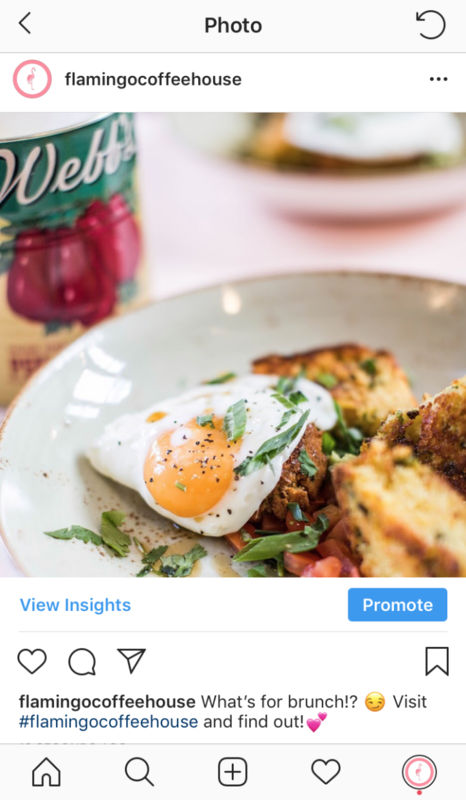 Extra tip: If you’re just starting to learn how to use Instagram, follow those brands or companies in your industry that have amazing content and great interactions with their customers. You can use them as inspiration, and to figure out what type of content you can try out on your profile. Managing a social network is about creating connections and keep in touch with your customers or potential customers. Start a conversation, when someone comments in your post, always reply (people love to be taken seriously! ), and they’ll most likely start trusting your business more. Click on the conversation bubble at the bottom of the image to see the comments, and then hit “Reply” under the comment of your follower. Don’t forget to also like their comment. 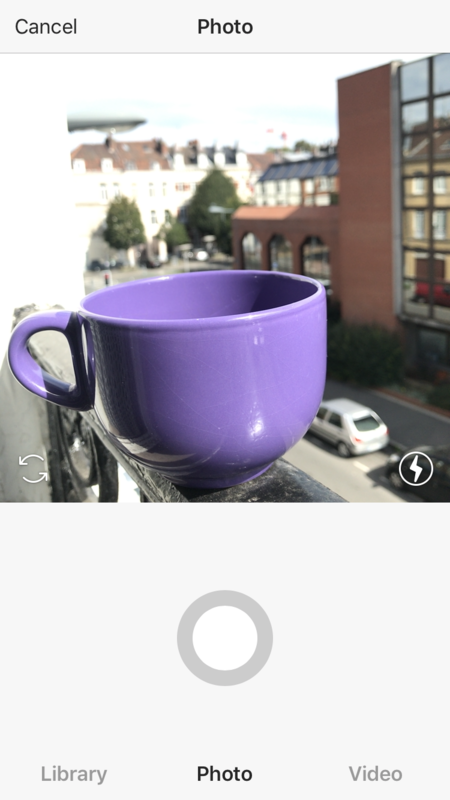 Images – Find colorful or creative pictures. You can either create your images for advertising purposes (with some text describing a promotion) or use regular pictures of your business (employees, products, etc). 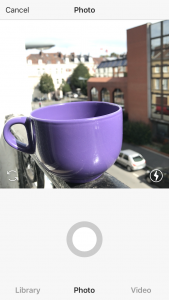 Filters – Don’t abuse the filters. They can give your pictures a nice touch but only when used correctly. Make sure that the image colors are not too different from the original ones. Sometimes, it’s even better to leave the picture as it is or use a simple filter. 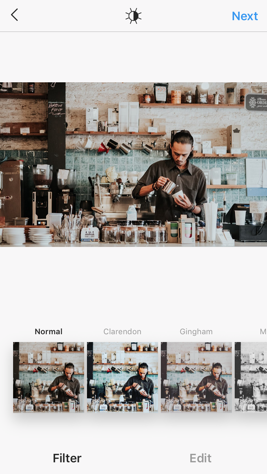 Image Size – Instagram has three different sizes of images: squared, which is the default one, panoramic, and portrait. 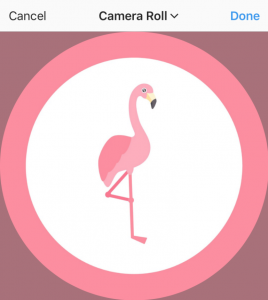 Use the one that is more convenient for your picture and to what you want to show. All you have to do is to touch the screen with your thumb and index finger and slide them away to each other to resize the picture. 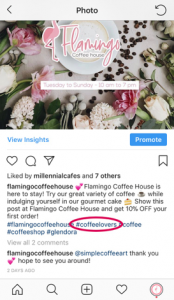 So now you’re getting a better idea of how to use Instagram for your small business, but you may still have a lot of doubts about the things you can do. 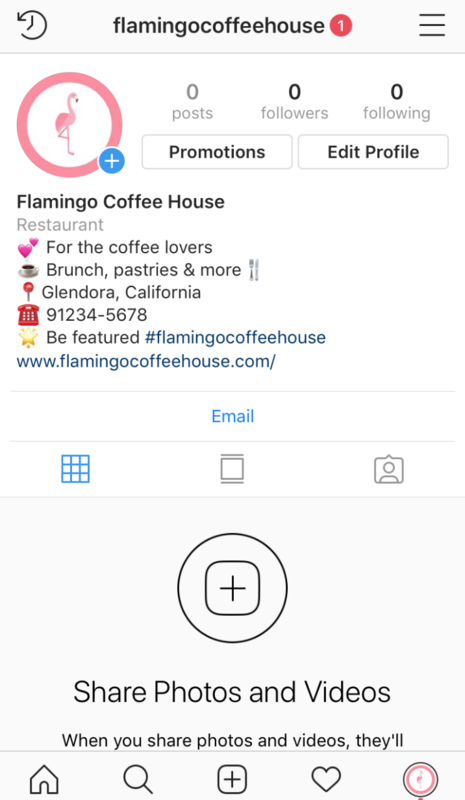 Don’t worry, we made a small “How to” list for those users that are still learning how to use Instagram. 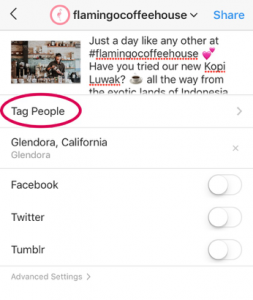 Instagram allows you to tag up to 20 other Instagram profiles in any of your posts. All you have to do is selecting the option “Tag People” at the bottom of your post when you’re editing. Then look for the accounts you want to tag and they will receive a notification about it. Maybe instead of tagging people on the picture, you want to make a special mention on the text of the post. All you have to do is type a “@“ in your caption and write the name of the username. For example “Thanks to our friends at @penguinfurniture for the amazing deco at Flamingo Coffee House!”. Very similar to the “Tag People” option, the user you mention will get a notification about it. Including hashtags on your Instagram posts can help you get more engagement and have more people looking at your posts. To write a hashtag you have to use the symbol # followed by a word, emoji or even sentence. For example, if your business is about fashion you can use #fashiongirl. Your post will be categorized in this hashtag, and when people click on it, they’ll be able to find all the posts with the same hashtag, including yours. You can use up to 30 hashtags, but the recommended number is around 11. How to post more than one picture on the same post? 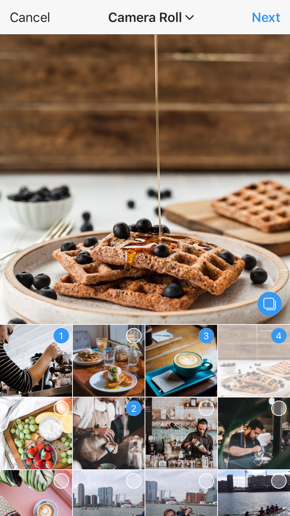 If you want to post a series of pictures or videos, you can do it by clicking on the squared icon on the lower right side of the picture area. 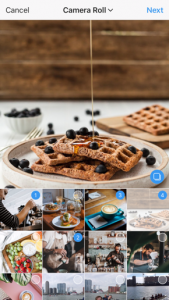 After clicking on it, you’ll be able to select the rest of the pictures you want to post. But first, what is it? 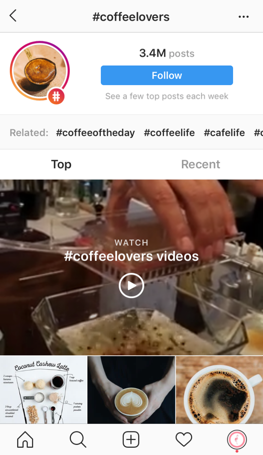 An Instagram Story is a picture or video that only lasts for 15 seconds. The difference with a regular post is that the regular post stays in your profile forever, while the Insta Story has a lifetime of 24 hours. Afterward, no one can see it again. You can use Instagram Stories to show a process in your business, a day in your daily operations or an event. 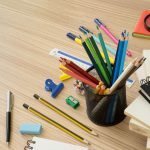 You can use the stories to promote new products and even to create surveys and ask questions to your followers. 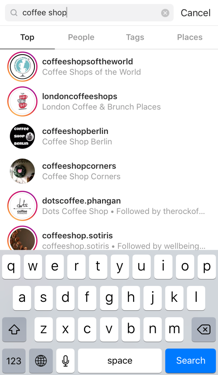 To create your own Instagram Story, all you need to do is swipe right in your Instagram Feed and your camera will open. You can record or take a video directly, or you can post a picture you already have on your phone. 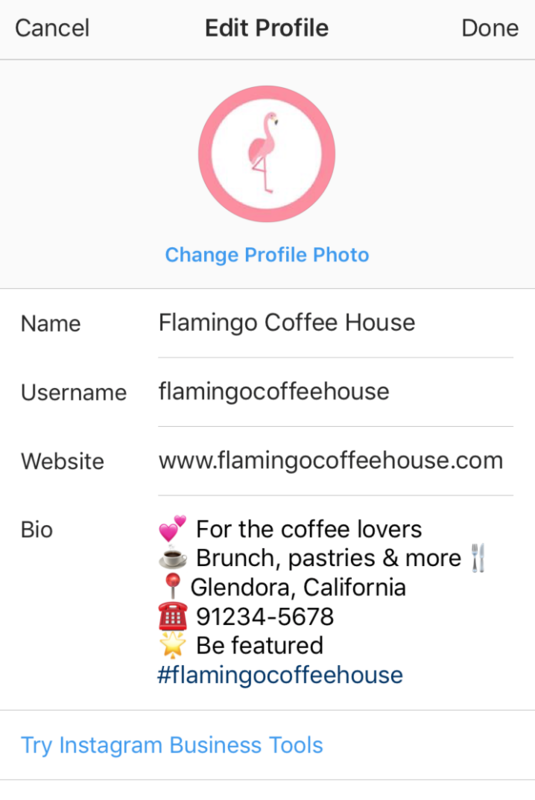 Add some text, stickers, tag users, use hashtags, add a location, and even gifs. Just have fun with it and let your creativity fly! 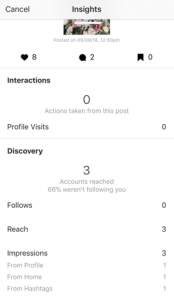 How to see your profile statistics? 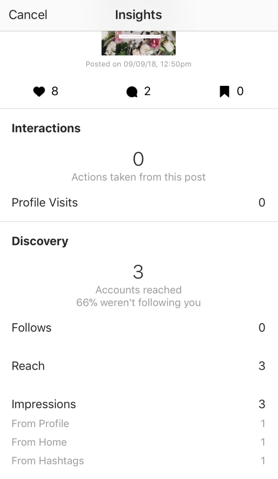 If you’d like to see your profile’s statistics you need to swipe left: a menu will appear and then you should click on “Insights”. It will take you to another page where you will be able to see your Activity, Content, and Audience. You can track how many followers you get each week, which posts are your most popular ones, the demographics of your audience, at what time they’re using Instagram, etc. All this information will help you decide what kind of content to post and at what time. 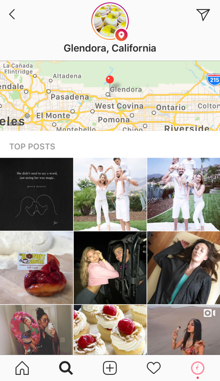 You can also check the insights of individual posts by clicking on the post from your profile and then clicking “View Insights” at the bottom. 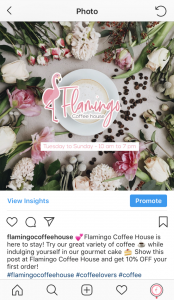 By now you should have a good idea on how to use Instagram for your business! 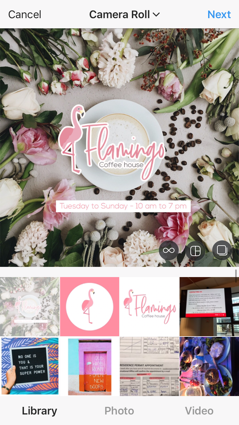 As you could see, it can be a lot of work and it requires a lot of patience especially at the beginning, but it’s a tool that comes with many benefits and can even bring you closer to your customers. 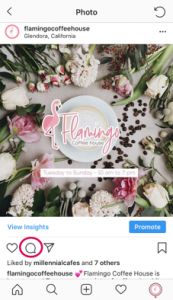 Instagram is growing and it can help your business grow as well. 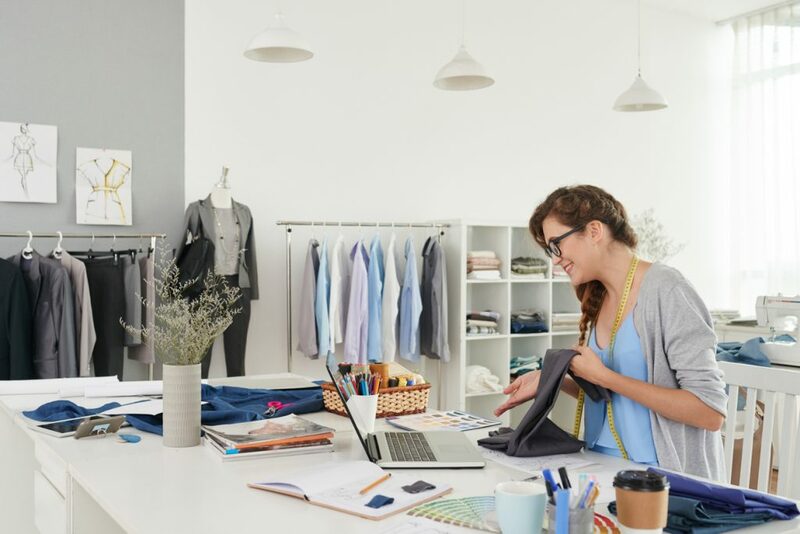 Don’t wait any longer to go digital with your business: the world is changing and nowadays there are more people than ever connecting through online platforms. 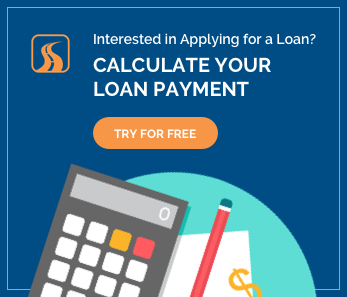 If you’re still unsure if this is the right step to take, you can fill out our Growth Evaluation form: it is a simple and free quiz that will grade your business in pricing and costs, people, marketing, technology, and business funding. Within 72 hours you will receive a full report about it with everything you need to know to start transforming your business. 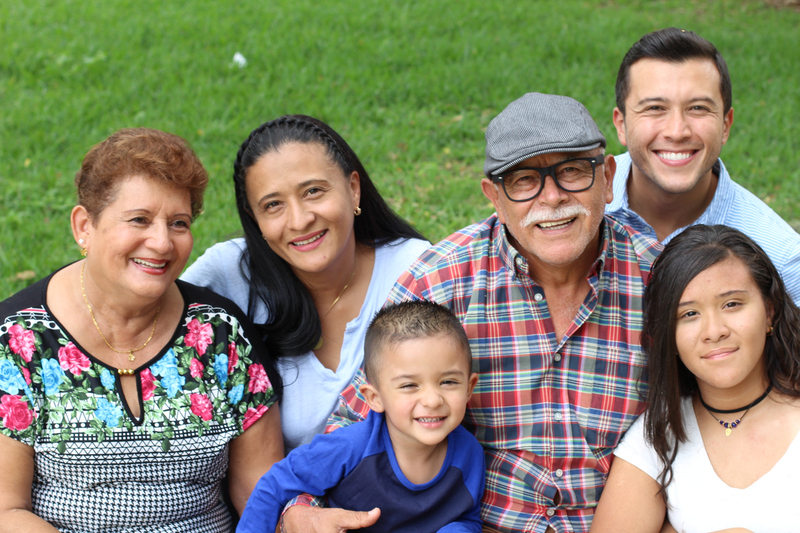 Click here to take the quiz now!